Things To Do In Los Angeles: Nintendo Celebrates Women's History Month? Why? Couldn't Celebrate Black History Month? 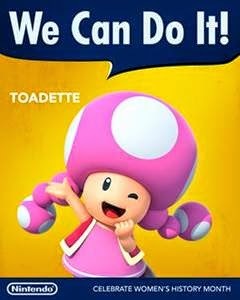 Nintendo Celebrates Women's History Month? Why? Couldn't Celebrate Black History Month? 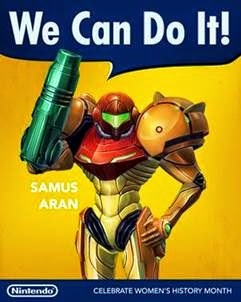 Nintendo of America is lucky there's too much press and speculation going on over a new system and mobile gaming for many gaming journalist to post on the very sad attempt to try and connect to anyone with Nintendo Celebrates Women's History Month? I put a question mark at the end, because I ask, "Nintendo Celebrates Women's History Month?" 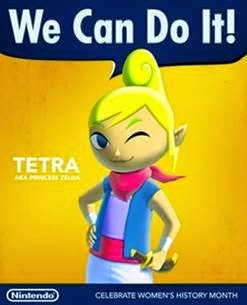 In the very poor attempt Nintendo has spent all of a few minutes choosing random female characters to put in a poster parodying the "We Can Do It!" 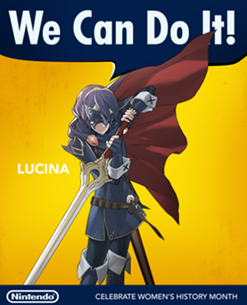 propaganda poster. Instead of just asking fans-really would have looked better if they did- we get clip art and low-res looking ladies. 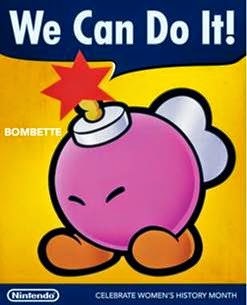 Let's not forget Bombette from a Nintendo 64 game from a decade ago? 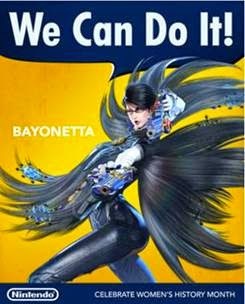 The only female with a game that came out last year in this series was Bayonetta. 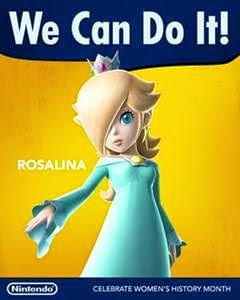 We have no problem celebrating women and their accomplishments, Nintendo does by it's extemely lackluster attempt at doing so that looks court ordered. This goes strongly into how Nintendo can be so frustrating, it just doesn't understand when it does something wrong.